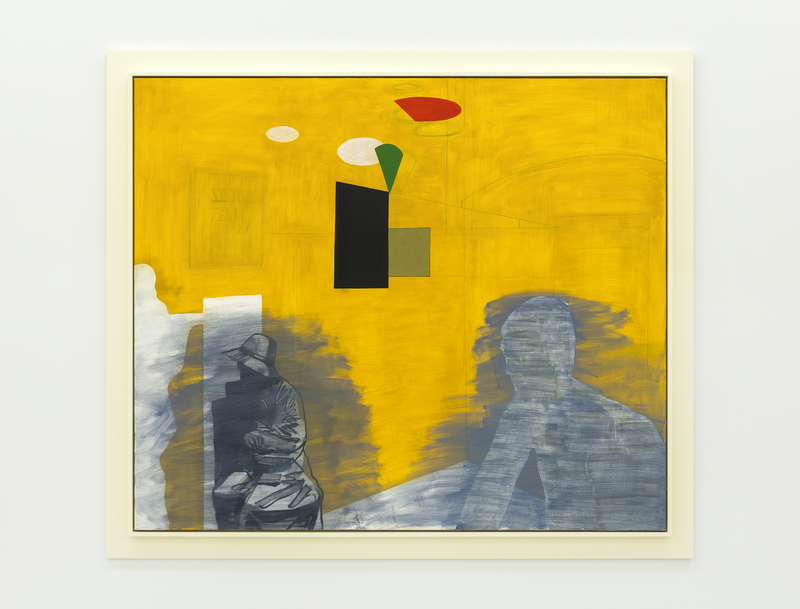 Catriona Jeffries is pleased to announce a solo exhibition by Damian Moppett comprised of new work in painting and sculpture. 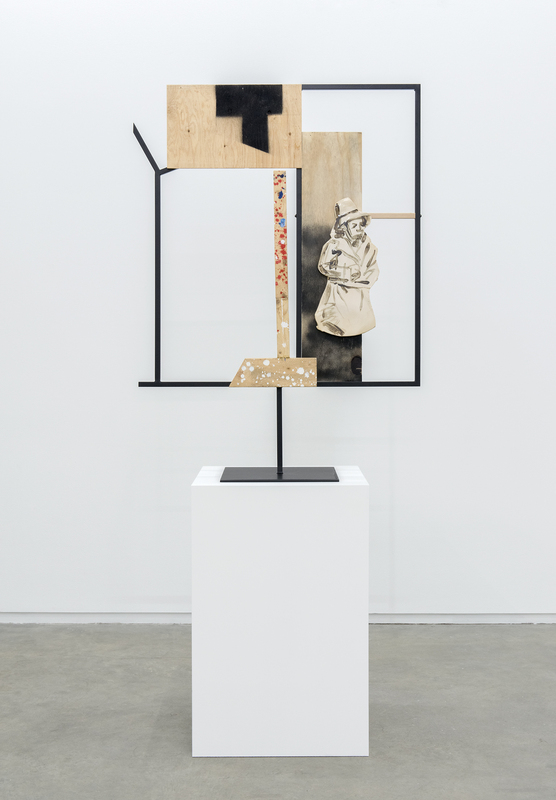 Moppett’s construction of his own vernacular of influences for over a decade is still present in the work, where Rodin and Mike Kelley held place among amateur ceramics and subverted remakes of modernist sculpture. 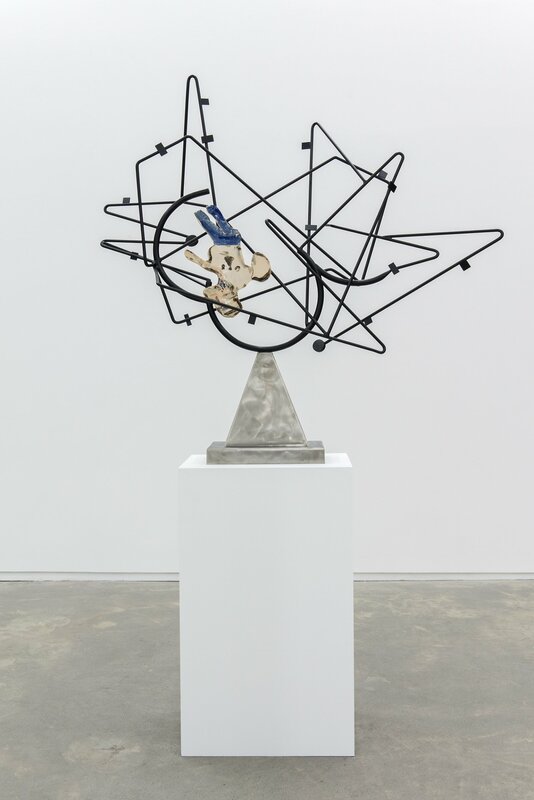 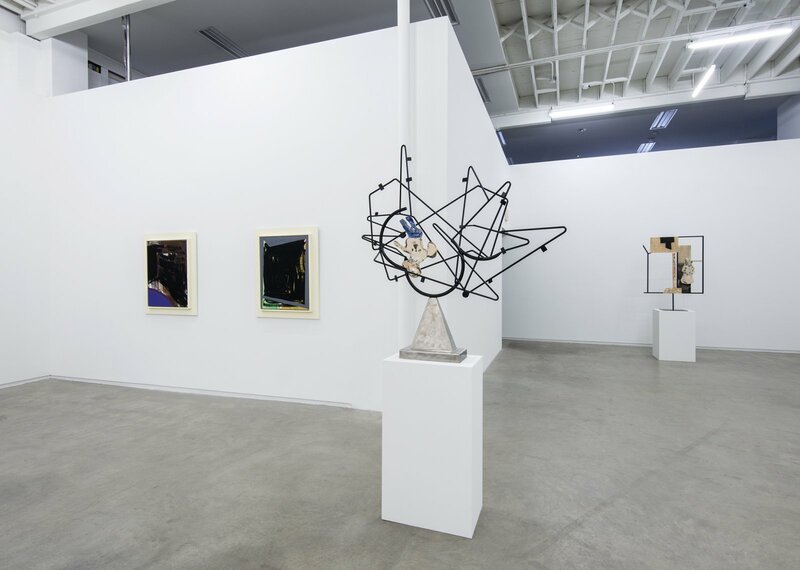 However, the significance of Moppet’s eccentric personal and art historical references found in earlier works has receded to make way for abstracted forms in sculpture that are beyond the reach of reference, while a grouping of six new paintings explore figure/ground relations through a flattening of space that maintains just enough information to remain representational. 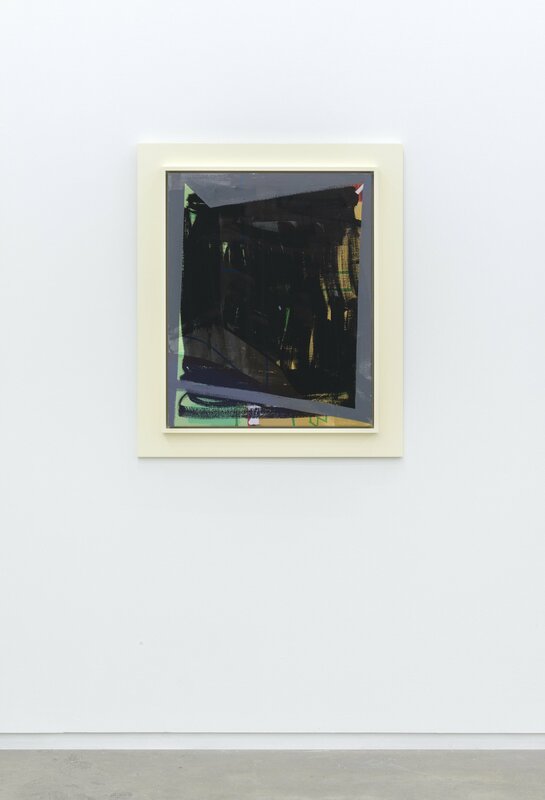 Numerous photographic images form the basis for Moppett’s paintings, one being the image of a candle – whose origins lie in one of Moppett’s earliest works (Impure Systems from 1999) – which remains constant as a fixed image that can continually function as the beginning of a new work. 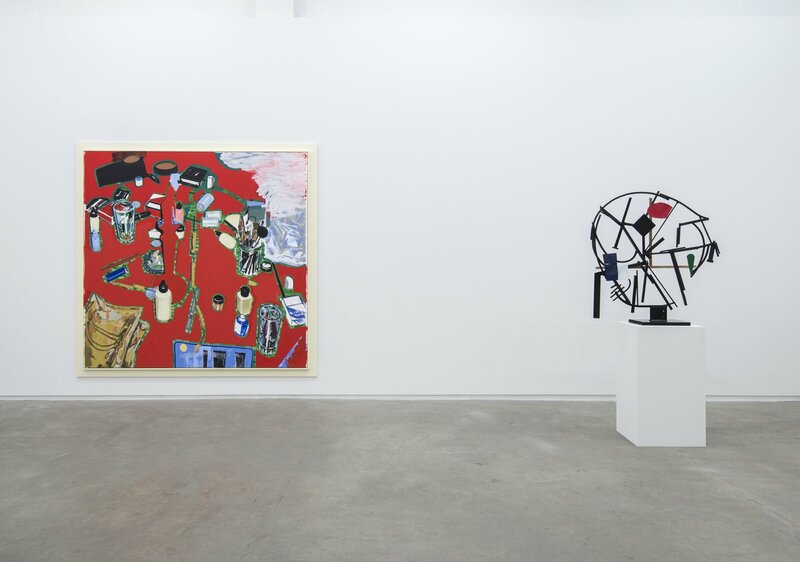 Flat expanses of red fill in the negative space of the composition, the remaining forms float disengaged from their ground. 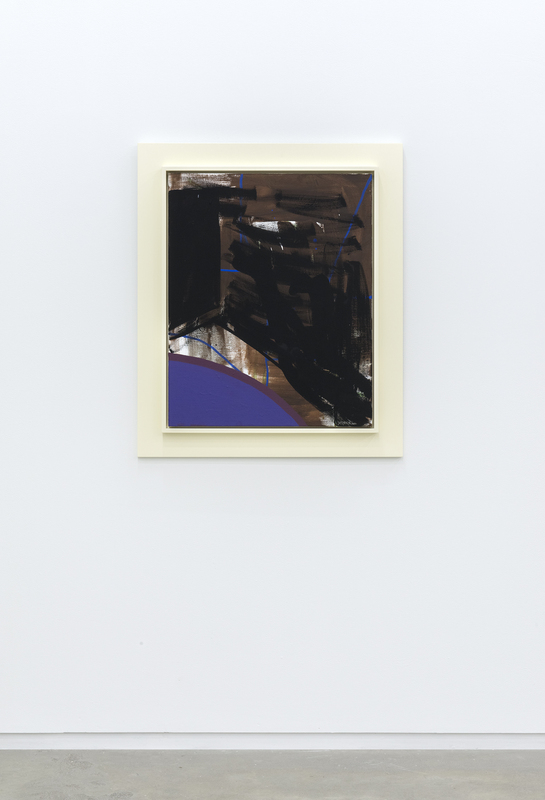 Despite the artist’s extreme familiarity with every curve and shape of its composition it still holds a generative capacity to lead to an unknown or unrelated territory and in this instance, the subject of a large scale painting. 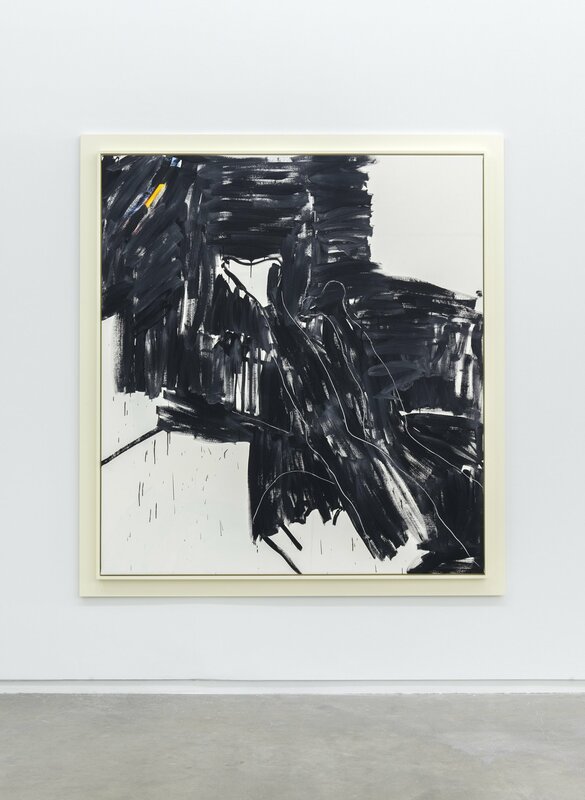 Similarly, the recognizable legs from a 2006 work, The Acrobat, lean into the frame of another painting, quickly and loosely executed in black. 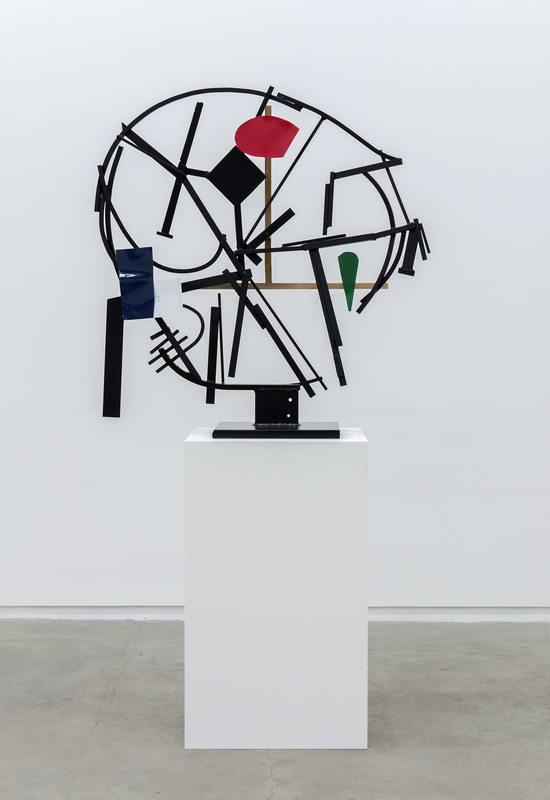 A suite of smaller sculptures borrow forms from David Smith, while in a sculpture of welded steel and ceramic Moppett has departed from the wheel-thrown vessels of earlier ceramic works and loosely painted then glazed fragments from a R.B. 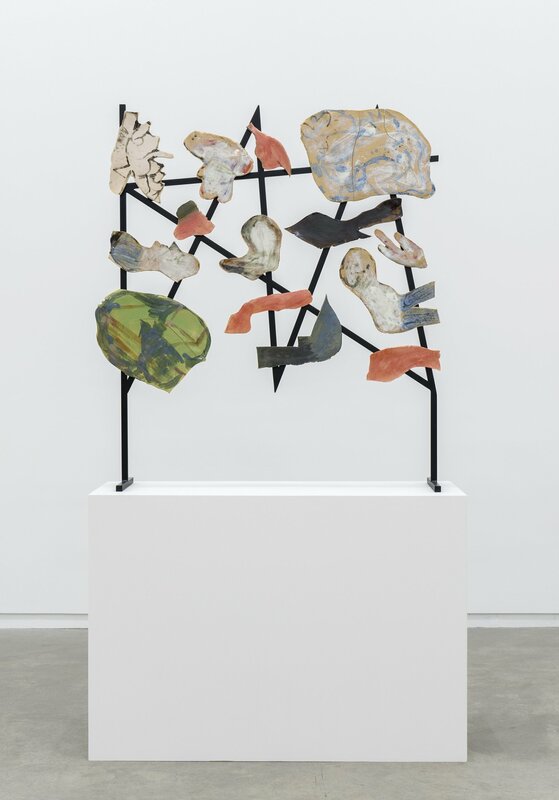 Kitaj painting onto slaps of cut-out ceramic forms. 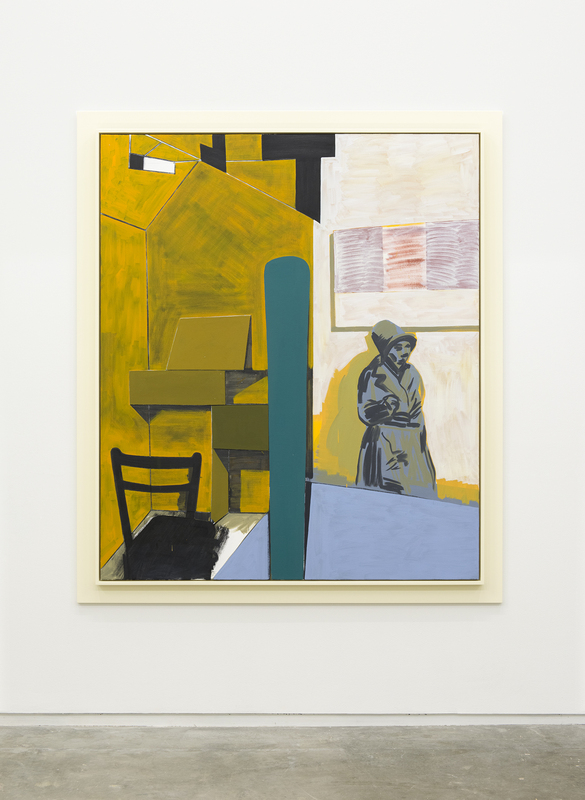 Here Kitaj becomes less the subject and more the well from which a diluted, painterly image can emerge as a glassy surface of glaze. Damian Moppett (b. 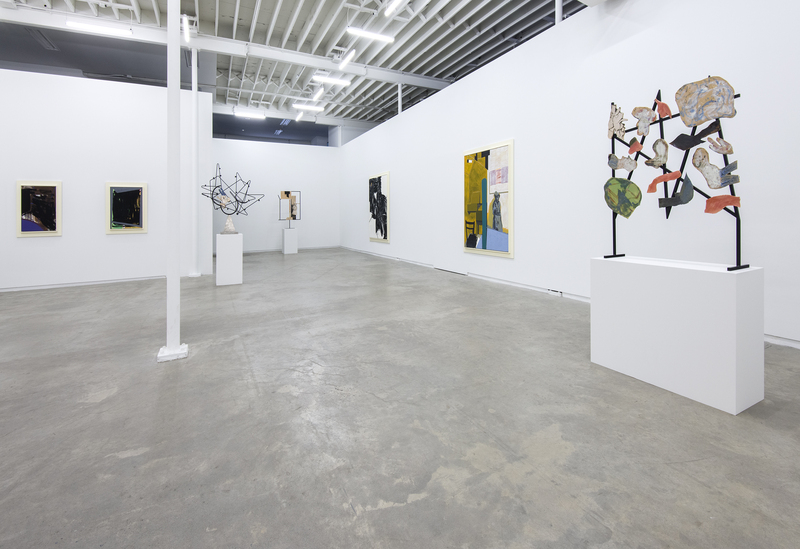 1969, Calgary, Alberta) lives and works in Vancouver. 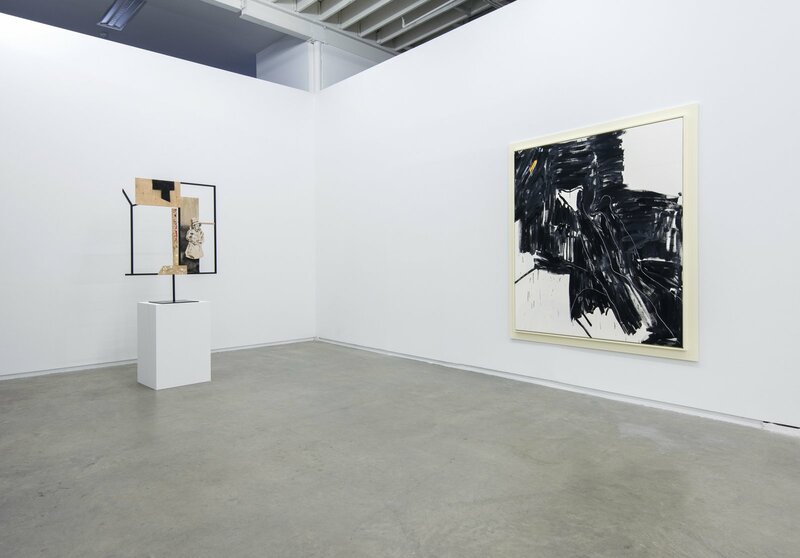 He has a forthcoming solo exhibition at the Simon Fraser University Gallery in January of 2014. 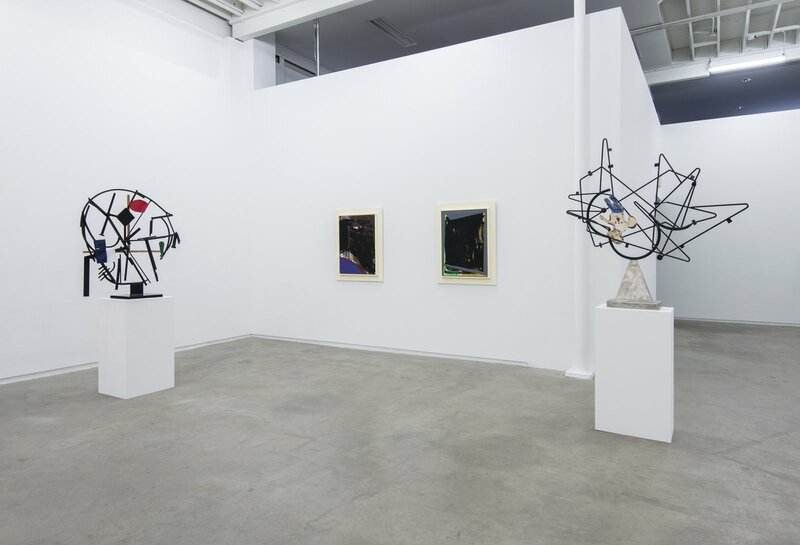 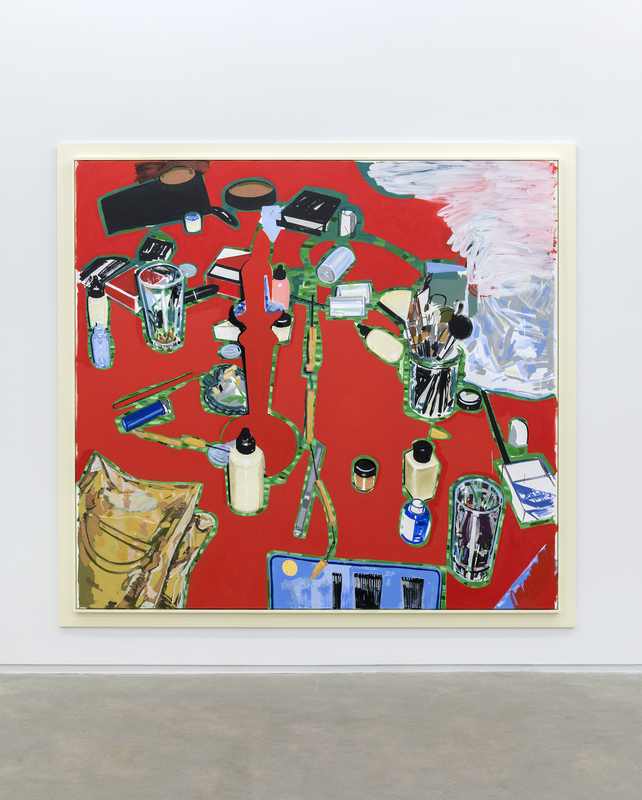 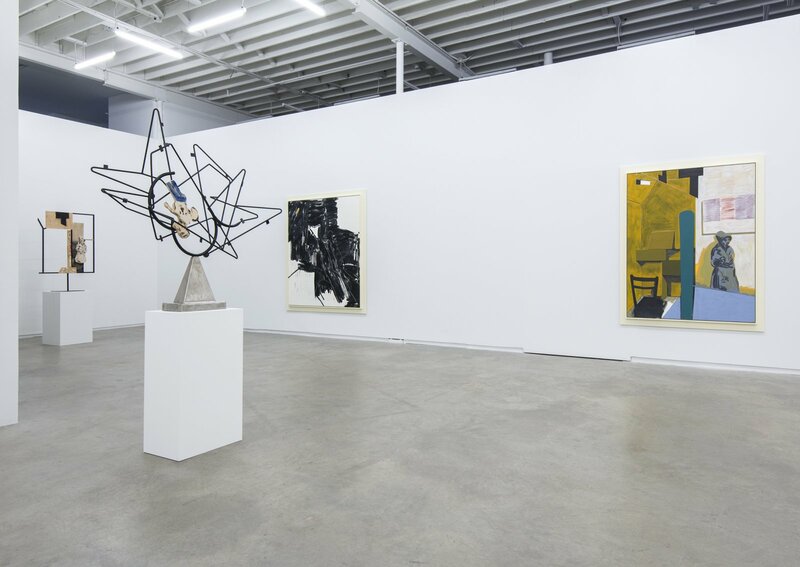 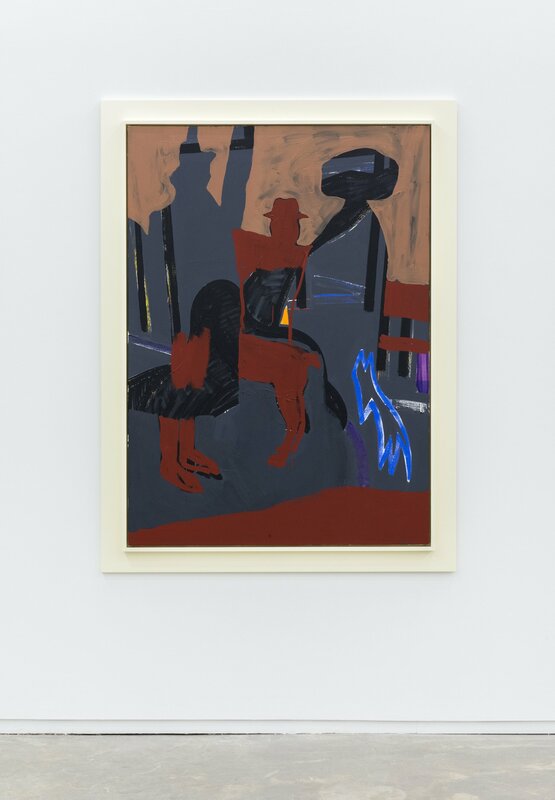 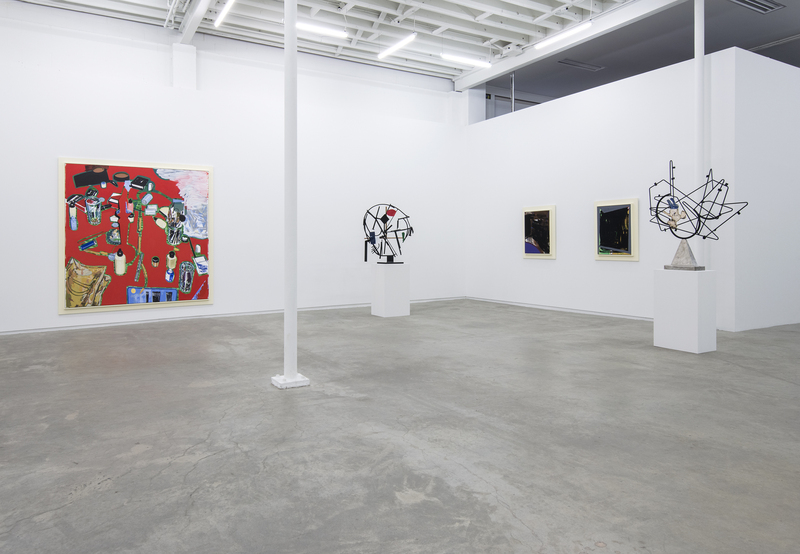 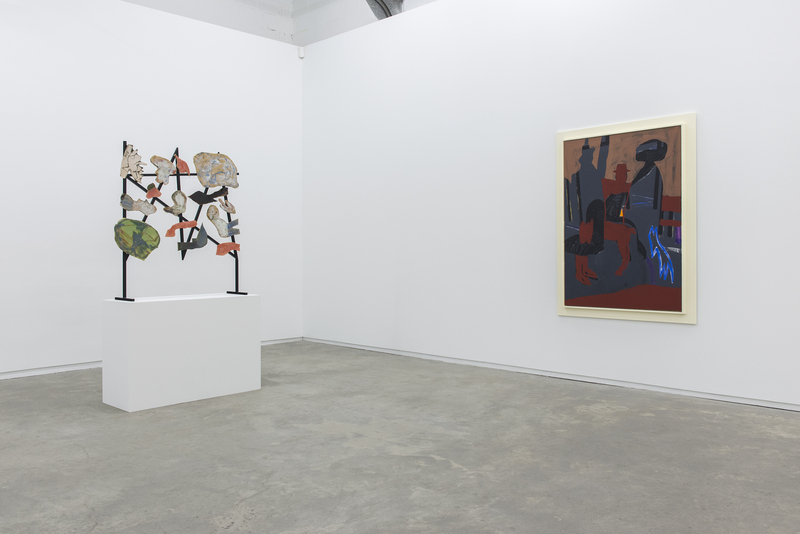 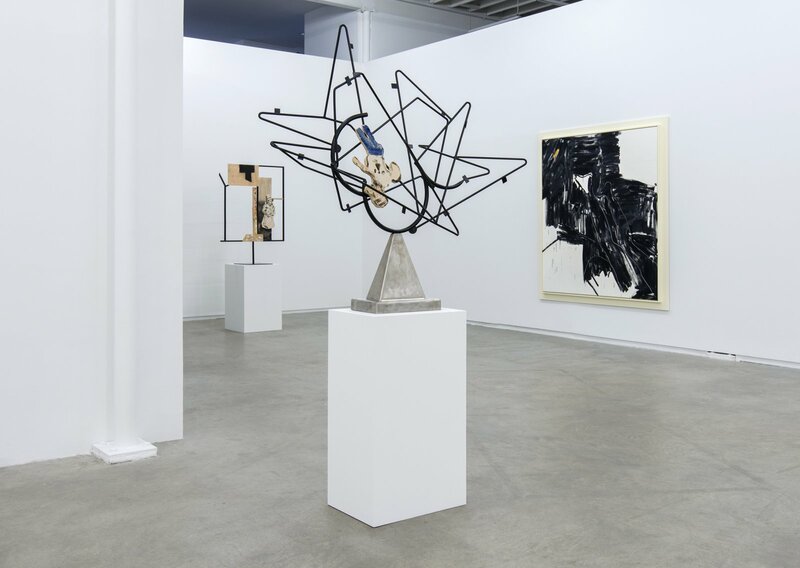 Recent solo exhibitions include Vancouver Art Gallery Offsite, Vancouver (2012); Rennie Collection at Wing Sang, Vancouver (2011); The Sculptor’s Studio is a Painting, Catriona Jeffries, Vancouver (2010); Temple Gallery, Tyler School of Art, Philadelphia (2007); Yvon Lambert, Paris (2007); Carleton University Art Gallery, Ottawa (2006); The Visible Work, Contemporary Art Gallery, Vancouver (2005). 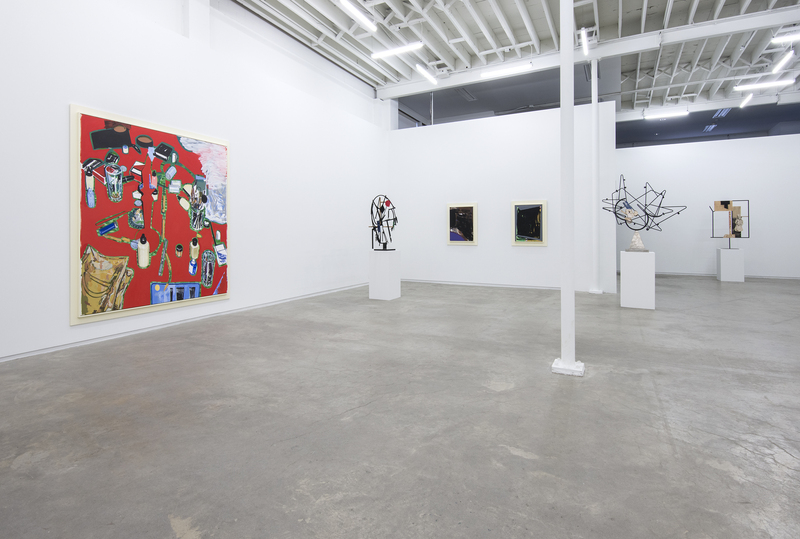 His work has been included in numerous group exhibitions, including Builders: Canadian Biennial 2012, National Gallery of Canada, Ottawa (2012); Not Photographs: Damian Moppett and Andrea Pinheiro, Presentation House Gallery Satellite, Vancouver (2011); Everything Everyday, Vancouver Art Gallery (2010); TRIUMPHANT CARROT: The Persistence of Still Life, Contemporary Art Gallery, Vancouver (2010); How Soon is Now, Vancouver Art Gallery (2009); Don Quijote, Witte de With, Rotterdam (2006); Appearances, Musée d’art contemporain de Montréal (2005); Intertidal: Vancouver Art and Artists, Museum Van Hedendaagse Kunst Antwerpen, Antwerp (2005). Recent monographs on his work include Damian Moppett, Rennie Collection, Vancouver (2012); Damian Moppett: Fall of the Damned, Carleton University Art Gallery, Ottawa (2006) and Damian Moppett: The Visible Work, Contemporary Art Gallery, Vancouver (2005).